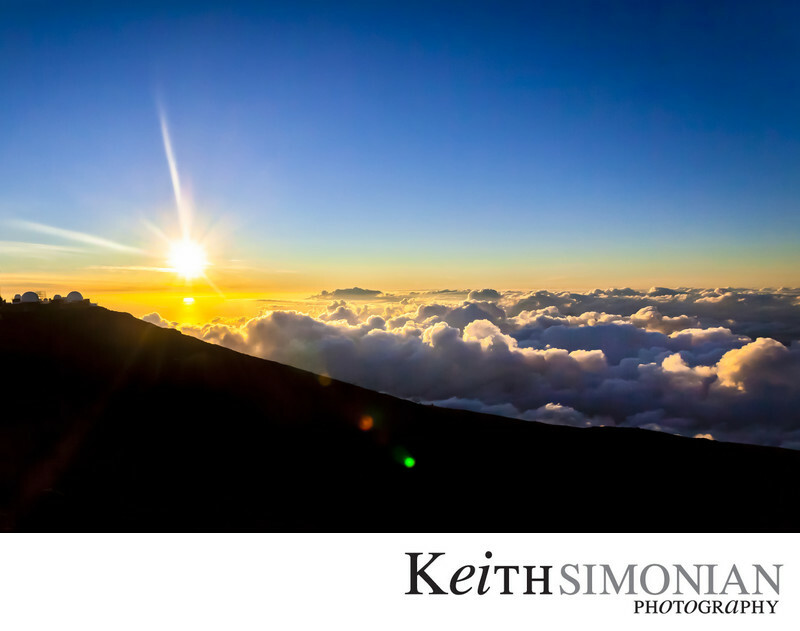 As you look out at the view above the clouds from the summit area of the Haleakalā National Park one has the feeling they are on top of the world. Turns out your are not even close as the elevation is 10,023 feet. The journey to the top of the Maui and the Hawaiian islands started at sea level when we boarded the mini bus. Even though it was later in the October day, the temperature is still in the low 80's and the humidity is also in the low 80's. Long story short, it's somewhat warm for a person who grew up with summer days in the 70's and humidity in the 40's. An hour and a half later you reach the summit area where the amazing views and the Haleakala Observatories are. I don't know what the humidity was, but I do know that temperature was much closer to 40 degrees and the wind was blowing at a constant 25 miles an hour. Some who had taken the ride up were there to see the view, I was there to make any and all amazing photos I could no matter how cold it felt. Turns out I was the last person back on the bus, and I would guess those already on the bus were wondering why I was still running around taking photos in the cold. I think dealing with a little cold was certainly worth it to make this image. Location: Haleakala Observatories Kula, HI 96790 . 1/3200; f/10.0; ISO 200; 19.0 mm.